A Letter to Coach Bielema. 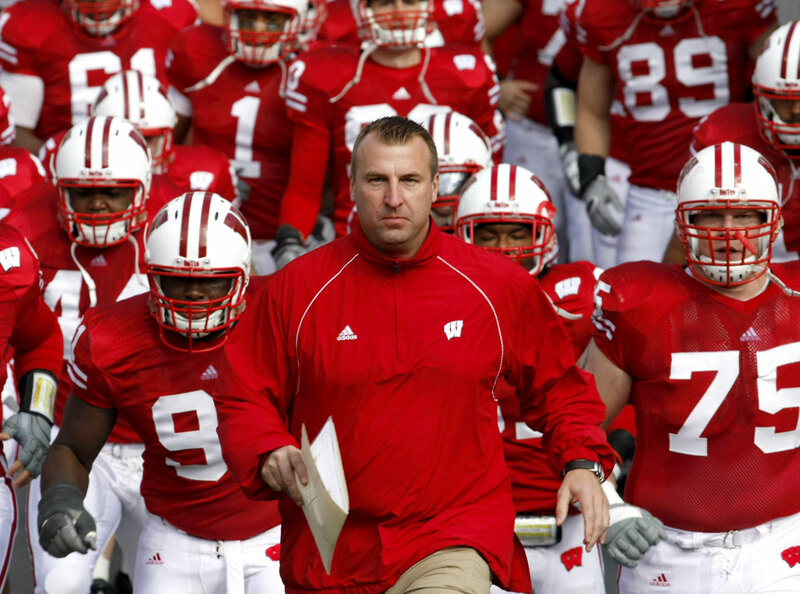 Despite tough losses, Wisconsin still has a path towards Pasadena. It all happened so fast. Just about a month ago, you were riding high in Madison after thumping the Huskers. There was no stopping the Bucky train after that historic night. Everybody knew Camp Randall is one of the toughest joints to play during the night but nobody expected your squad to hammer another team ranked in the top ten in that fashion. You made it clear during your next game against Indiana that you weren’t afraid to run up the score to help your case in the polls. Actually, you’ve made that clear in the past against other teams too … Tim Brewster, the former head coach of Minnesota is still pissed at you for that two point conversion you pulled off despite the 25 point lead. You did everything you were supposed to during the first five weeks to prove that the Badgers were a contender. The media bought in as they hyped up the Badgers and essentially crowned them as the favorite to win the Big Ten. 1. You probably didn’t even realize that Russell Wilson was this good. He was the biggest free agent acquisition of the off-season in all of college football and I am sure you played a significant part in the recruiting pitch. But when we saw him carve up the Nebraska secondary with ease; everybody agreed that he was the real deal. After all this is the same Husker secondary that puzzled Kirk Cousins’ offense last Saturday with their zone defense. Because of Wilson’s uncanny ability to throw 40 yard passes on the run, it possibly covered up the holes in the defense … just a little bit. But there was reason to believe that this Wisconsin team was different than the past years because of the quarterback play.